Karyn focuses her practice on transactional intellectual property law and has significant experience in privacy law. 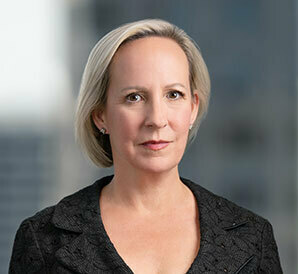 In addition, she is the Chair of the Firm’s Cybersecurity, Privacy & Technology Group. Her work in the intellectual property arena includes assisting clients with the management and protection of their IP portfolios as well as drafting and negotiating intellectual property related agreements, including development, licensing, and services agreements. Karyn also advises clients on the IP issues inherent in business transactions, including intellectual property-related due diligence and risk evaluation. Karyn devotes a significant portion of her practice to keeping clients abreast of developments in the areas of privacy and data protection on both a national and international level, and regularly counsels them on emerging and ongoing disclosure and compliance requirements. Clients of all sizes in a range of industries look to Karyn as general corporate legal counsel, where she advises individuals and entities on a broad range of corporate matters, including complex contract negotiation, compliance and enforcement, and general operational matters.